At Melwood we believe that the best beer is worth waiting for. We believe in our tasty brews that speak for themselves on your palette. We believe in a friendly rapport with our peers and our customers and most of all, we believe that if you work in a job you love it ceases to be a job. That’s how it is at Melwood. DAY TRIPPER 4.0% – hoppy pale amber session ale. Mosaic & Equinox hops are used very late in the brewing process and double dry hopped in the cask with Amarillo. FOOLS GOLD 5.3% – brewed with heritage barley – golden promise, this IPA is single hopped with English Pioneer giving a distinctly hoppy, pleasant lemon and grapefruit aroma with cedar and herbal flavour notes. STANLEY GOLD 4.3% – triple American hopped with cascade, centennial and Amarillo giving this beer a crisp hoppy flavour and a beautiful citrus aroma; a well-balanced but complex, refreshing beer. PALEFACE 4.0% – a pale hoppy beer brewed with lots of late Summit hops giving it a full flavour with great mouth-feel and long hoppy aftertaste. DEADHEAD 6.0% – the highest ABV beer we have ever made; single hopped with Amarillo hops sitting on top of a robust malty backbone. JESTER 4.0% – brewed with Belgian Orval yeast and English jester hops this pale ale is super tasty. 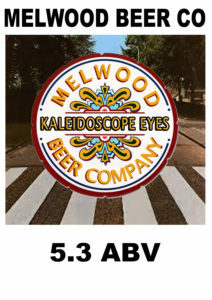 KALEIDOSCOPE EYES 5.3% – a pale ale which has Simcoe & Amarillo hops with apricot and citrus flavours. KNOWSLEY BLONDE 4.3% – single hopped with Atlas – our best-selling pale ale. FATHER TED 4.2% – our classic English bitter hopped with Pilgrim, East Kent Golding and Challenger. Session Pale 3.6% – This beer sits at 3.6 ABV and is hopped with Simcoe and Cascade. River City Pale 3.8% – Hopped with Equinox and Amarillo. Please note: all beer is unfined unless requested. 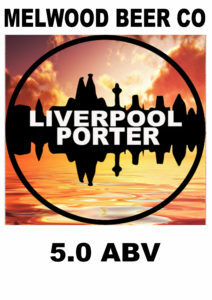 DAY TRIPPER 4.0% – HOPPY PALE AMBER SESSION ALE. MOSAIC & EQUINOX HOPS ARE USED VERY LATE IN THE BREWING PROCESS AND DOUBLE DRY HOPPED WITH AMARILLO . STANLEY GOLD4.3% – TRIPLE AMERICAN HOPPED WITH CASCADE, CENTENNIAL AND AMARILLO GIVING THIS BEER A CRISP HOPPY FLAVOUR AND A BEAUTIFUL CITRUS AROMA; A WELL-BALANCED BUT COMPLEX, REFRESHING BEER. 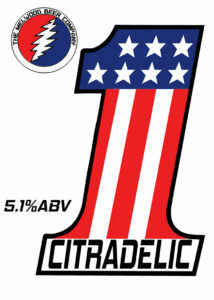 Deadhead 6.0% – THE HIGHEST ABV BEER WE HAVE EVER MADE ;SINGLE HOPPED WITH AMARILLO HOPS SITTING ON TOP OF A ROBUST MALTY BACKBONE. KNOWSLEY BLONDE 4.3% – single hopped with Atlas – our best selling pale ale. DAY TRIPPER 4.0% – HOPPY PALE AMBER SESSION ALE. MOSAIC & EQUINOX HOPS ARE USED VERY LATE IN THE BREWING PROCESS AND DOUBLE DRY HOPPED IN THE CASK WITH AMARILLO . SESSION PALE 3.6% – AS PART OF AN ONGOING SERIES OF SESSION PALES THIS BEER SITS AT 3.6 ABV AND IS HOPPED WITH SIMCOE AND CASCADE. 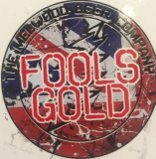 KNOWSLEY BLONDE & FATHER TED AVAILABLE NEXT WEEK…..
FOOLS GOLD (5.3% abv) BACK IN STOCK! 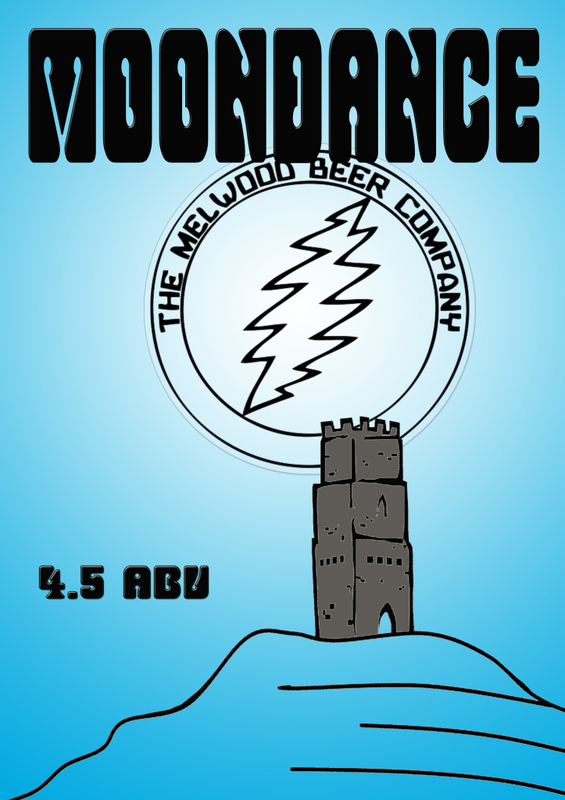 MOONDANCE 4.3– HOPPED WITH MAGNUM AND NELSON SAUVIN THIS BEER HAS SIMILAR DELICIOUS WINE-LIKE FLAVOURS TO THE GRAPE VARIETY USED IN WINE-MAKING. MARMALADE SKIES UPDATE!!! SOLD OUT!!!! 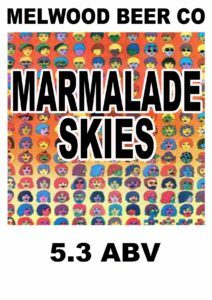 MARMALADE SKIES – 5.1 – A fabulously orangey hoppy explosion with citra hops and orange. 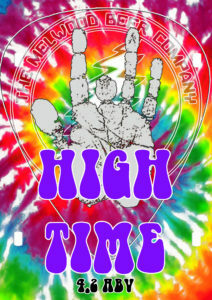 HIGH TIME 4.3 – It’s back!